The Empirical Software Engineering International Week (ESEIW 2011) will take place in the city of Banff, Alberta, Canada, at the The Banff Centre. 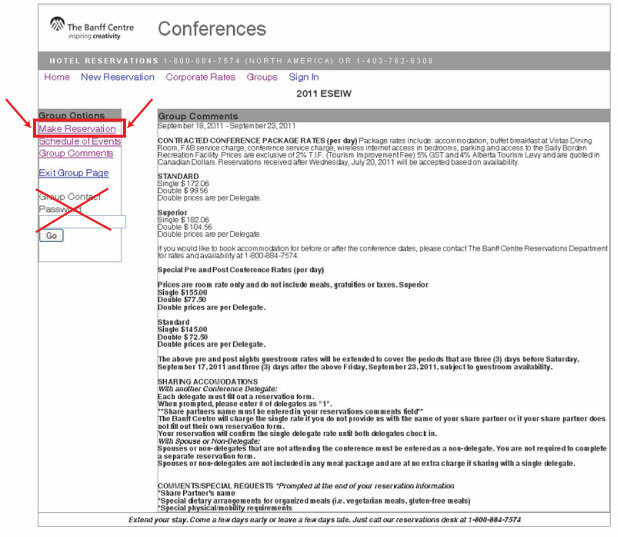 NOTE: After entering "The Banff Centre Reservation Page" (see below), please go to the "Make Reservation" link. NO PASSWORD is required! If you would like to book accommodation for before or after the conference dates, please contact The Banff Centre Reservations Department for rates and availability at 1-800-884-7574 (403-762-6308), FAX 403-762-7502 or email reservations@banffcentre.ca.